When Troy and I left our home in Canada two and a half years ago, we never anticipated the rewarding projects we would work on. Colombia is the country that has had the biggest impact on us because of the stories of transformation and optimism that we found there. 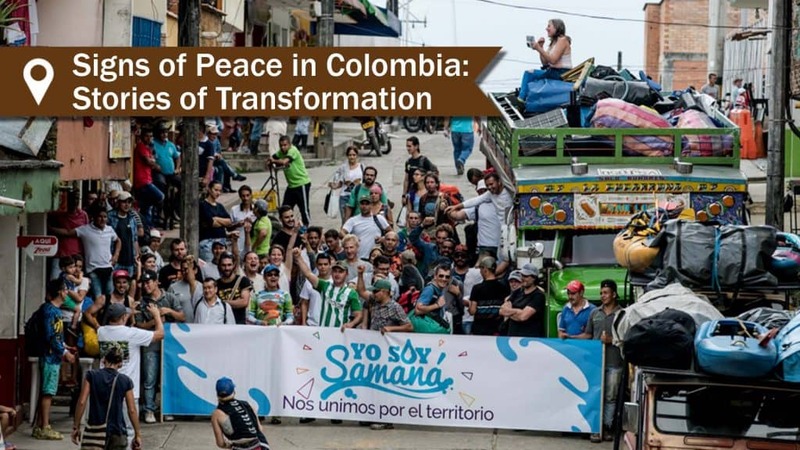 From the people living through a lifetime of war, who are facing massive changes since the cease fire, and now signs of peace due to the recent Peace Treaty by the government with the FARC (The Revolutionary Armed Forces of Colombia) in November 2016, Colombia is a place to reckon with. Our home base of Medellín, a city transformed from its painful past, is only one example of how Colombians are overcoming adversity. Yet, there are many more stories to unravel. Our latest project is about the communities outside of Medellín. 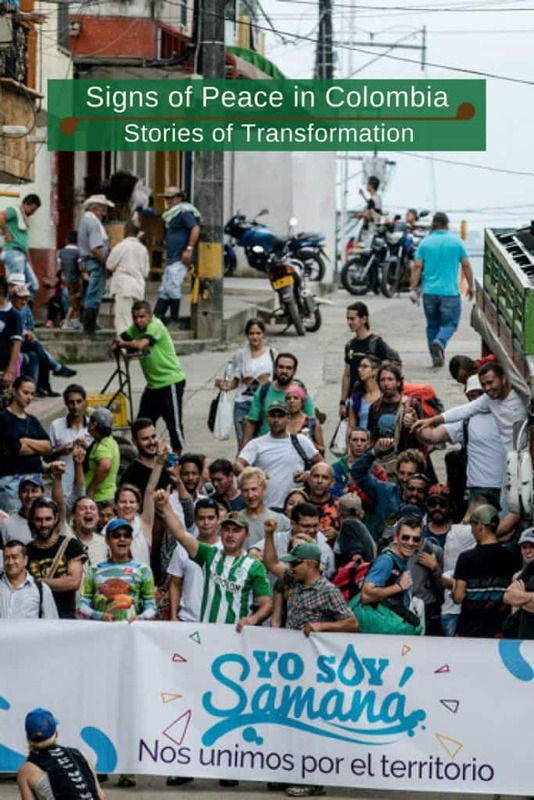 Without healing from their wounds and differences from the war, they are at risk of losing control of future decisions involving their homeland and their lifeline – the Samaná River. The river Samaná is the center for fishing, transportation, and water supply, which means that it is vital to village life. For years, the river divided the communities and its inhabitants into two opposing sides. On one shore, the communities of Magdalena Medio, which included villages of El Prodigio, Doradal, and Puerto Nare, were controlled by the Paramilitary groups. On the other side of the river, the communities of Oriente Antioquia were historically controlled by the Guerillas, which encompasses the villages of San Francisco, San Luis, San Carlos, Corcorná and San Raphael. Thousands of residents were displaced from their homes in this area, and countless were killed during the long years of violence. On the bright side, due to the war, the river has remained untouched by big business and government interaction for many years, even until now. The Samaná River is the last free-flowing river in this area. The 100 km-long river is an incredible wonder of the world. It bends through the mountains, surrounded by dense jungle. Crystal clear creeks pour into the Samaná, and hidden waterfalls, narrow passages, caves and secret swimming holes can be found along its path. Because it has been protected from human intervention to a great extent, new species of plants have been discovered. Just recently, botanists found a new species of palm tree. Seven more flora species were identified and are waiting to be certified. But the future here is very uncertain. Post-conflict Colombia also means a significant potential for economic growth. 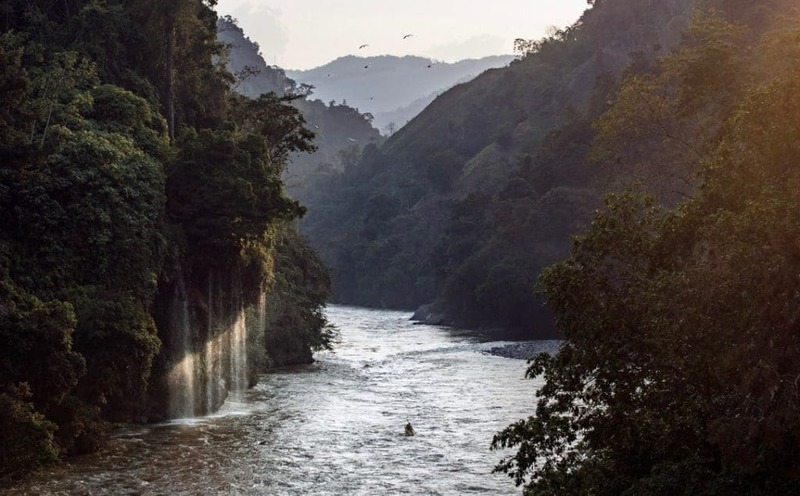 The Colombian government is anxious for growth, and with cheap construction costs and inadequate execution of environmental laws, this river is the target for a future dam project. For the people here, the future is also questionable. Without bringing this community together to collaborate, there is a real threat of massive disruption to the area. blocking fish migrations kill fish and destroy a vital source of food and income for the villages. disrupting water flow will have an impact on temperature, chemical composition, oxygen levels and sedimentary flow – each of which damage the natural habitat of flora and fauna to survive. dredging rivers cause an extensive impact on water tables, and erosion, and possible displacement of villagers due to inhabitable sections of the water’s edge. How can people on opposing sides join together to protect their land and their river? This annual two-day event, which was held on March 18th and 19th. It was also a platform to highlight strong regional voices for implementing solutions that can bring in economic growth and for enjoying their most precious resource. The weekend started with camping in Boqueron, a village within the community. Residents opened their land, community center and sold their food and drink to guests. The evening included celebration, music and inspiring talks while overlooking the endless valleys and peaks across the villages around the Corcorná valley. 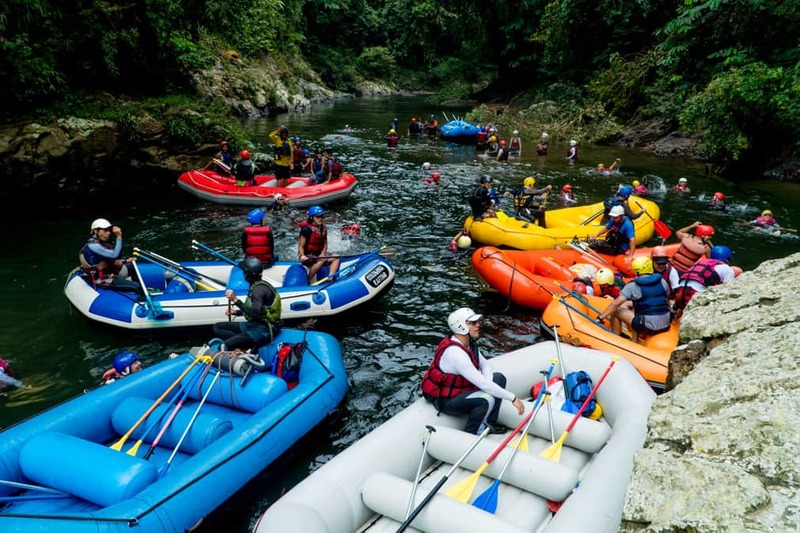 The next day, people from the communities had the best opportunity to see the beauty of the river – from a raft, where many of them have never seen the river from this vantage point, nor enjoyed white water rafting before. 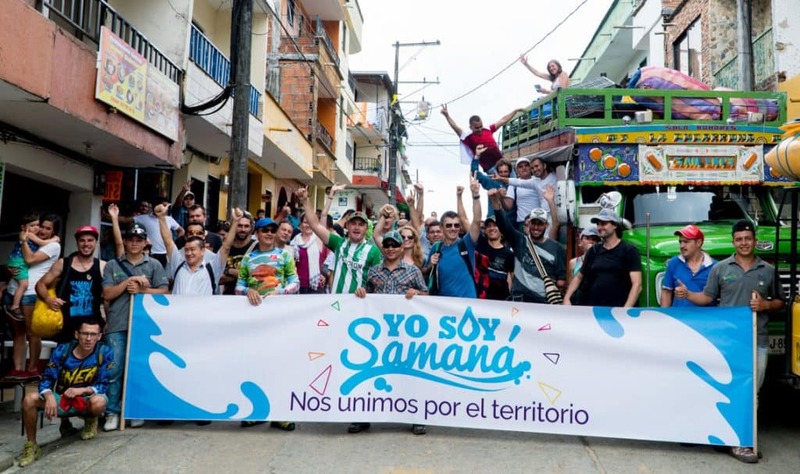 The finale of Samana Fest was a gathering at Pointe Samaná where the river meets the heart of Antioquia – the highway connecting the major centers of Medellín to Bogotá. 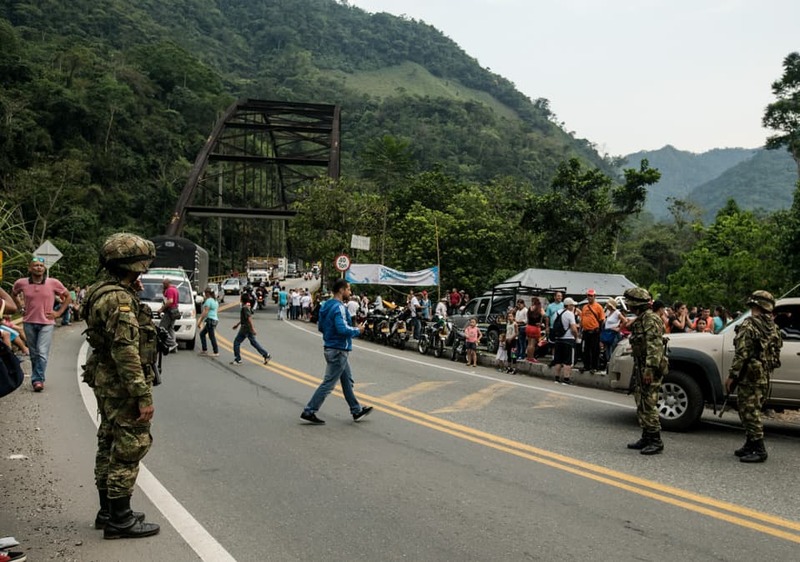 In this ceremonial union, the army blocked the bridge and the people from both sides of the river came together to shake hands, hug and acknowledge that a strong united community is essential for the future of the area. Even as a foreigner and an outsider, this was an emotionally touching event. Colombians are passionate, and there is no doubt that this is the start of mending life-long wounds. It is only by this collaboration to take a stand against the Hydroelectric dam, that they can be a strong voice for the government and big business. Fortunately, the media coverage and social media coverage from the event did make an impact. 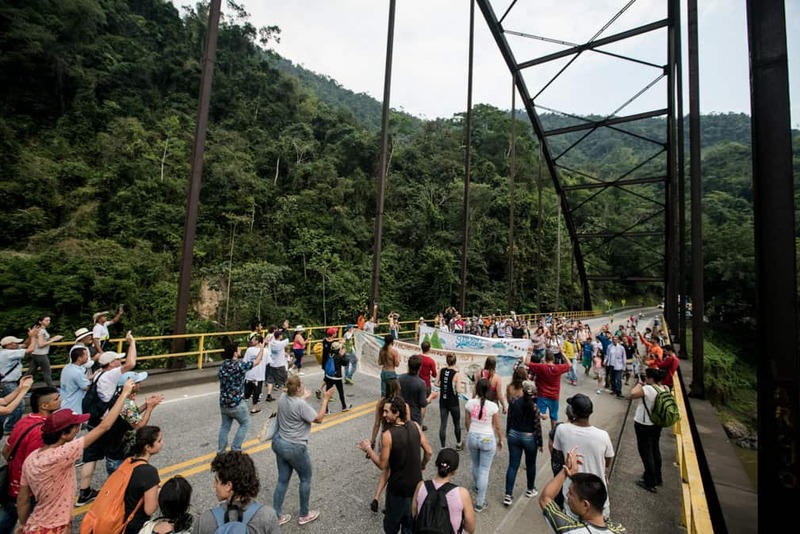 Celsia, the energy company responsible for the proposed dam project, scheduled talks with Fundación Yumaná – the river conservation foundation who coordinated the event, to the discussion table. It’s difficult to say at this point what the future holds for the area, but it does show that united voices can make an impact, and the wounds of the violent past can mend for a higher purpose. Interested in seeing the Samaná River with all its beauty and wonder? 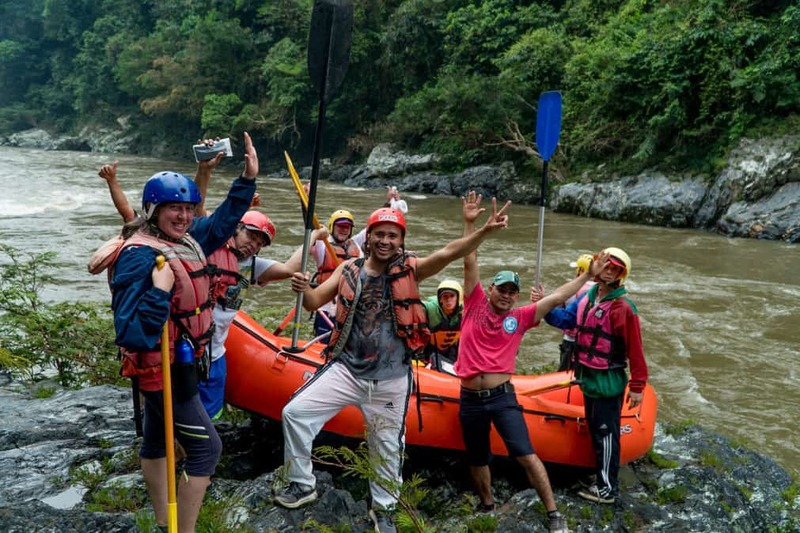 Enjoy this 2-day rafting adventure of a lifetime. What travel experience inspired you? We would love to hear about it. For more stories about our extensive time in Colombia, you can find it all here.